Fetching 4-Prong Round Solitaire set with GEM Blue 1 carat 6.5mm Genuine Aquamarine Engagement Ring - Diamond Accents at Base of Prongs The Beauty is in The Detailing of This Stunning Round Solitaire Aquamarine Engagement Ring. At First Glance, This Ring is the Quintessential Solitaire Style, But a Deeper Looks Reveals Curved Prongs With 2 Bezel Set Diamond Accents at the Base of the Prongs. 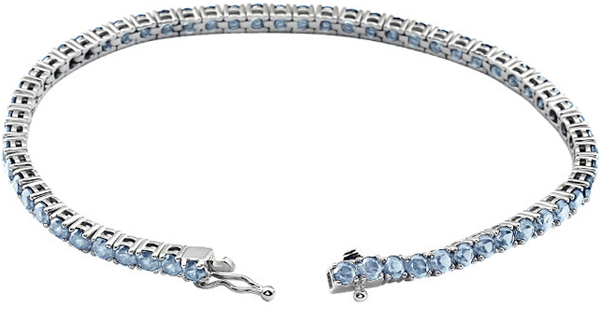 Add a Gorgeous Blue Accent to Your Look With Aquamarine. What do you get when you combine Aquamarine gemstones, precious metals, throw in a few diamonds for good measure, and add a touch of amazing design? 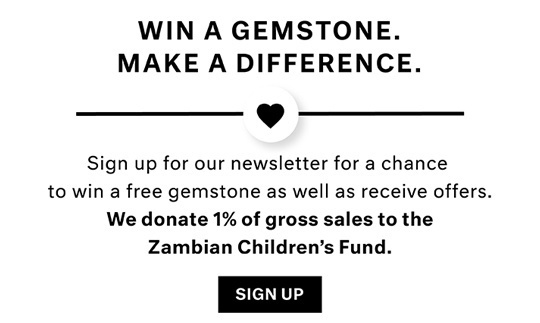 You get AfricaGems� amazing selection of Aquamarine jewelry. Aquamarine literally means �water of the sea� and its cool blue shimmers can transport you to a calm, serene ocean scene. 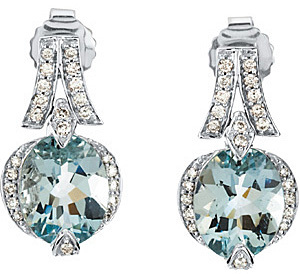 With its stunning clarity and breathtaking color, it�s no surprise that Aquamarine is a favorite to many. The light blue tones of Aquamarine are flattering to all skin tones and hair colors, and when paired with white gold, Aquamarine jewelry takes on a very glamorous look. In short, we could probably go on forever singing the praises of our Aquamarine jewelry, but if you take a look its beauty will speak for itself! Why is it that most women wear diamond engagement rings? Do you know that the tradition started when an Archduke in Vienna proposed with one in the 13th century? If you are the type of person who enjoys being unique, and shuns meaningless traditions and conventions, you might consider a colored gemstone for your engagement ring. Dare to be original and defy the norm. Especially if your birthday is in March and Aquamarine is your birthstone, an Aquamarine might be a much more meaningful stone for your engagement ring. 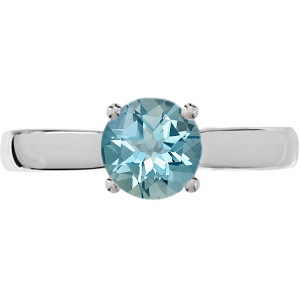 Many of our gorgeous Aquamarine rings are in the engagement ring style, and many others are fitting for all occasions. 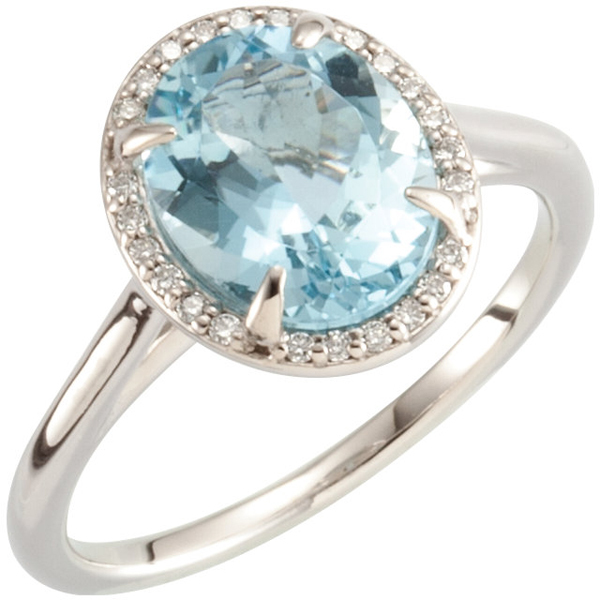 We offer a great selection of Aquamarine rings at wholesale prices. Take a look at our stunning Aquamarine pendants and now picture one of these beauties hanging around your neck; feel the smooth, cool metal against your skin, see the shimmer of the stone dance with the light, and take a moment to be in that fantasy for a second. Once you�ve come back to reality, there�s not much more to talk about. 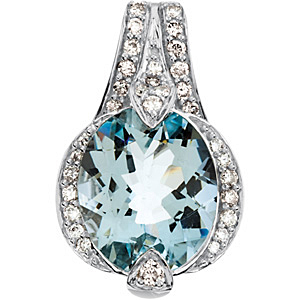 Once you�ve tasted the idea of an Aquamarine pendant, you will obsess about it until it�s around your neck in actuality. Consider purchasing an Aquamarine pendant for a special gift for her�all women are just dying to add an Aquamarine pendant to their jewelry collection. Our spectacular array of Aquamarine earrings features Aquamarine gemstones at their finest paired with diamonds and white gold�an irresistible combination. All of our Aquamarine earrings have matching jewelry counterparts that are sold as a complete set for a discounted price. Keep in mind that there is FREE shipping on all Aquamarine Jewelry.